During Easter Weekend, I made my first trip back to Houston since I moved from there 9 months ago. I was reunited with my favorite people, much-missed food and was also welcomed with the most perfect weather (which Twin Sista and I took advantage of by taking many walks to balance all the eating that was being done while I was visiting). And to my surprise, I even stumbled upon a new cupcake bakery! 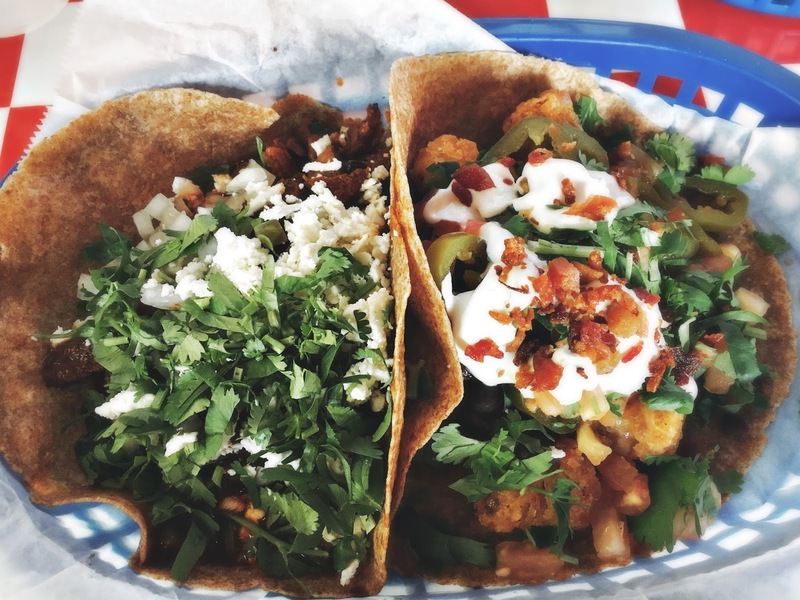 Reunited with the tater tot taco from Tacos A Go Go and had my favorite queso and taco at Torchy's Tacos (the taco was sans tortilla so I could eat more later in the day but definitely missed the tortilla). Every Thursday, Ramen Tatsuya serves their dipping ramen (tsukemen) topped with a piece of brisket--so very Texan of them. I was so excited to be in town during crawfish season to get my hands dirty eating these mudbugs. 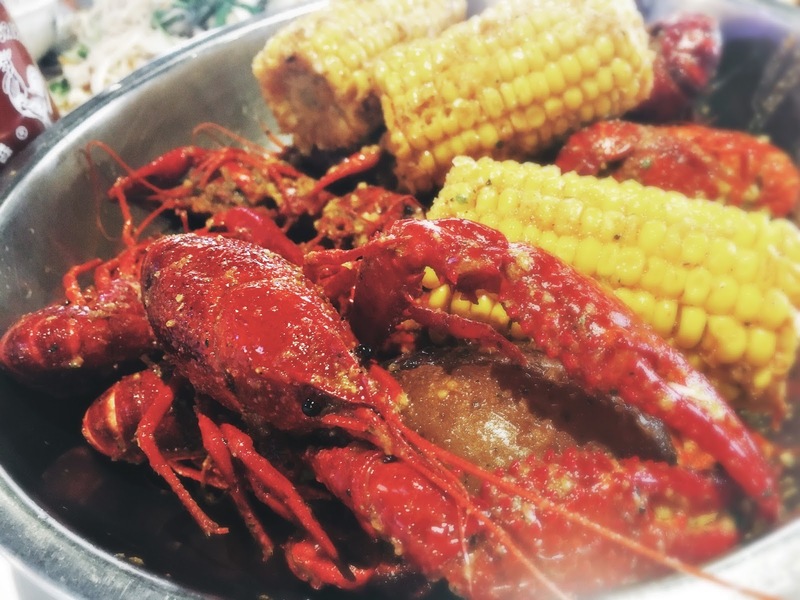 Crawfish and Noodles never disappoints and you can see the restaurant featured on the Netflix show Ugly Delicious. 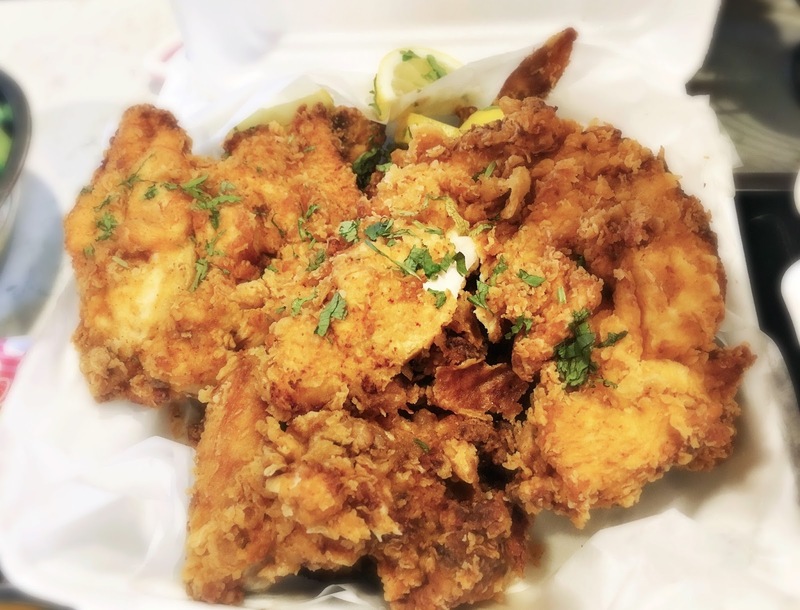 Burned my face off eating spicy dishes from Himalaya (and also got my favorite: their Indian-spiced fried chicken). One of the things I miss most are the Sichuan feasts I'd have with my Houston friends. 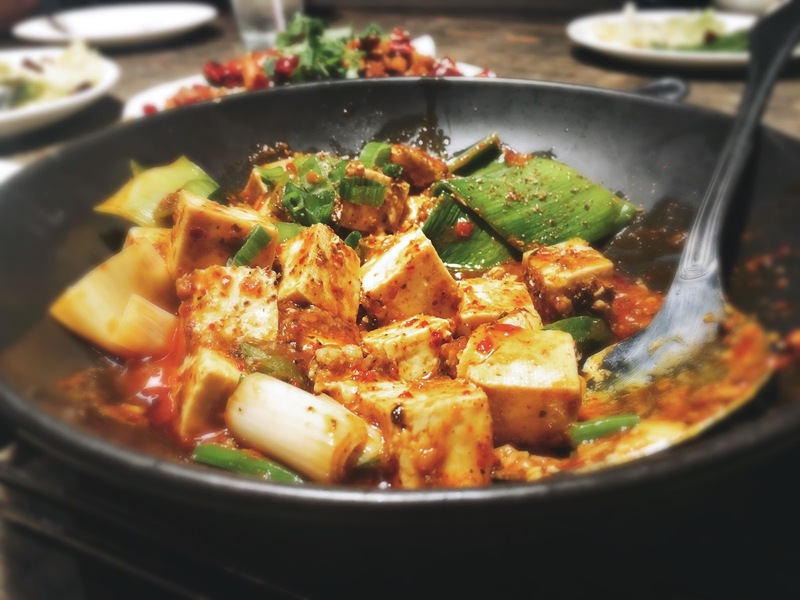 Mala Sichuan Bistro has always been one of the best places to scarf down on numbingly spicy food. 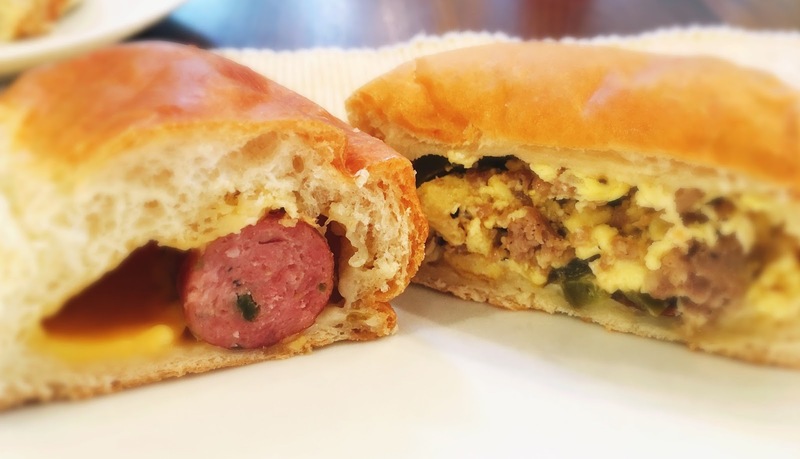 Nothing says "Texas Breakfast" quite like a sausage, jalapeno and cheese kolache. I can actually get kolaches in KC but they're just better in Texas. Friends got mini cupcakes from Crave Cupcakes one evening. Their chocolate cupcake is perfection! 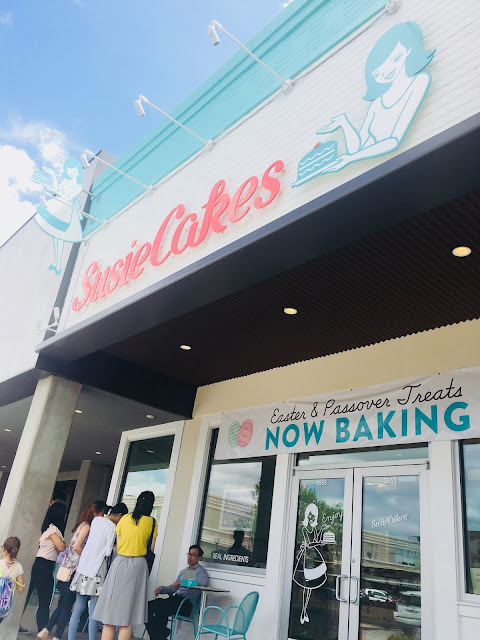 And finally the new cupcake bakery I patronized: the California-based chain, SusieCakes, setup shop in a few locations in Texas and one is nestled in the heart of Rice Village in Houston. It was Easter Sunday but I opted for a less festive chocolate peanut butter cupcake, which was $3.75. The cake was fluffy but a little dry. 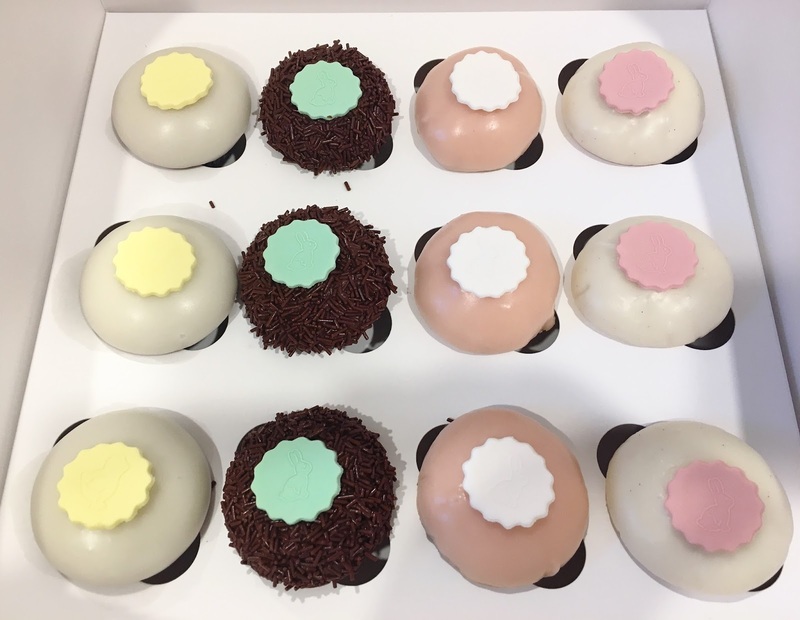 The frosting didn't seem too sweet until I hit the frosting filling inside the cake and it was a punch of sweetness that I didn't really welcome. Overall it wasn't a memorable cupcake but also was a nice afternoon snack.